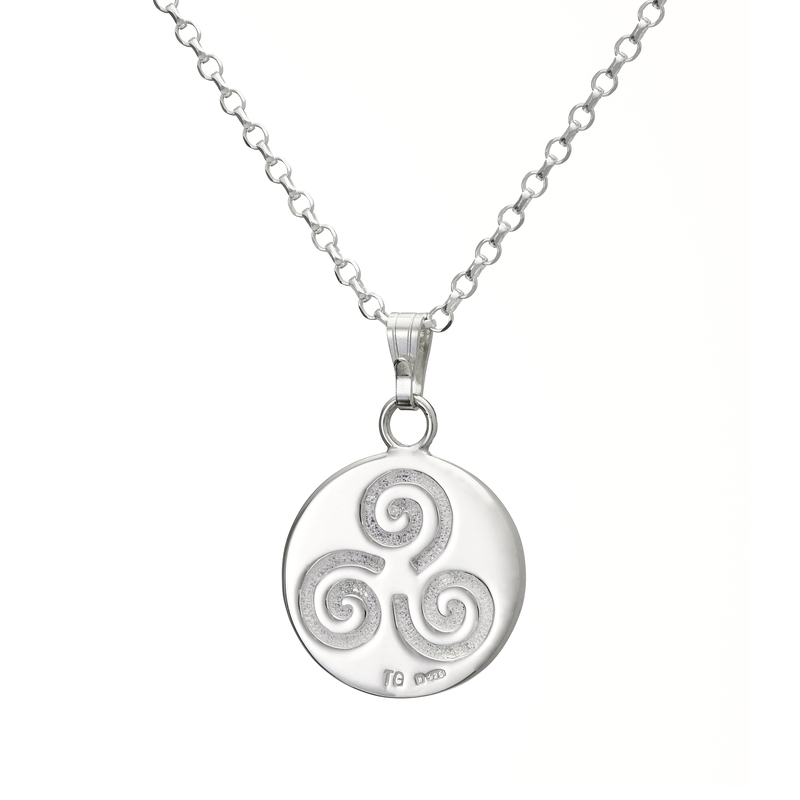 The back of the pendant features a triple spiral (triskele) representing eternity. 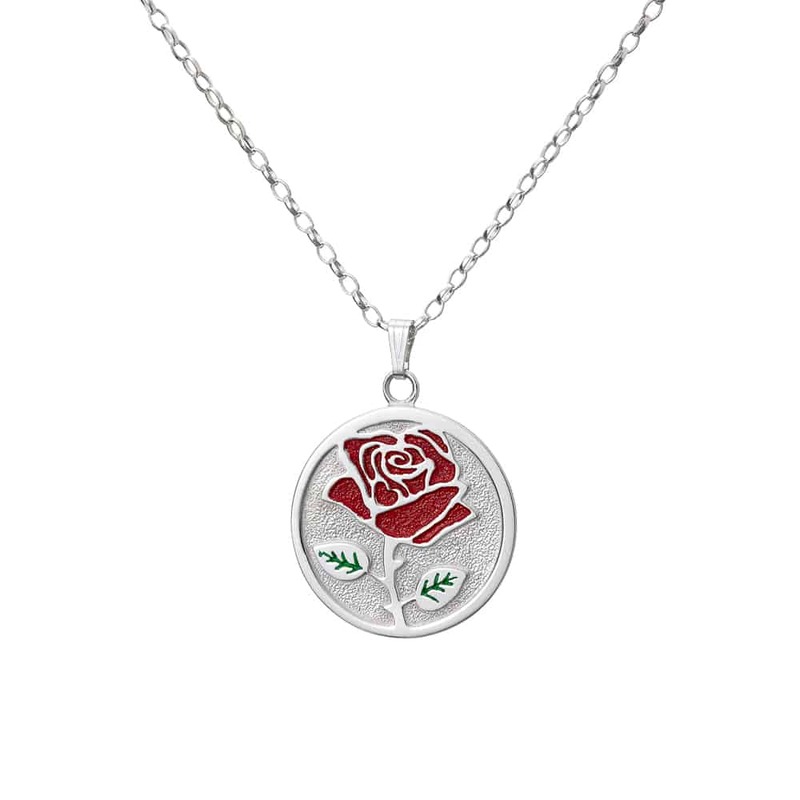 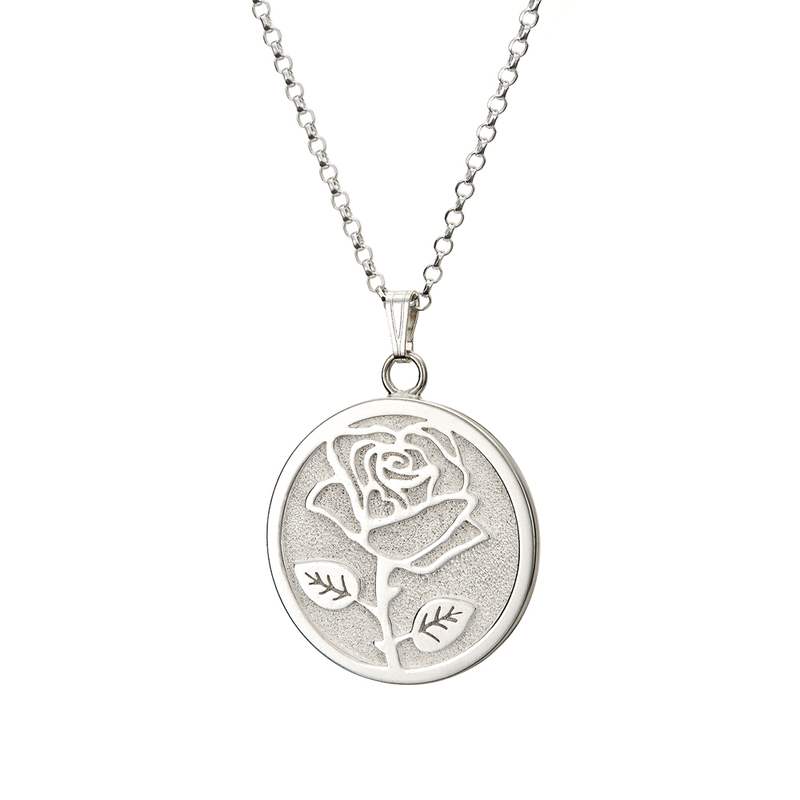 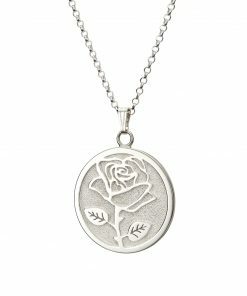 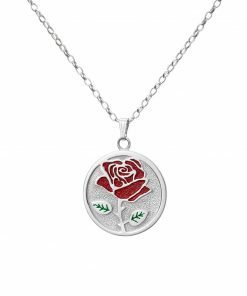 This Wild Rose pendant measures 22.5mm in diameter and comes with a 26 inch sterling silver chain. 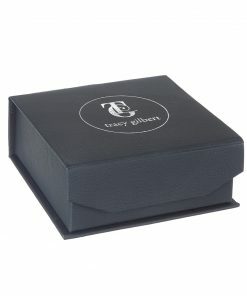 16 inch and 18 inch chains available on request. 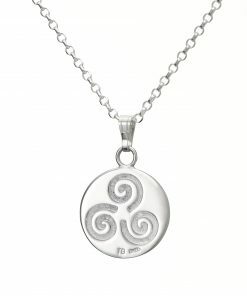 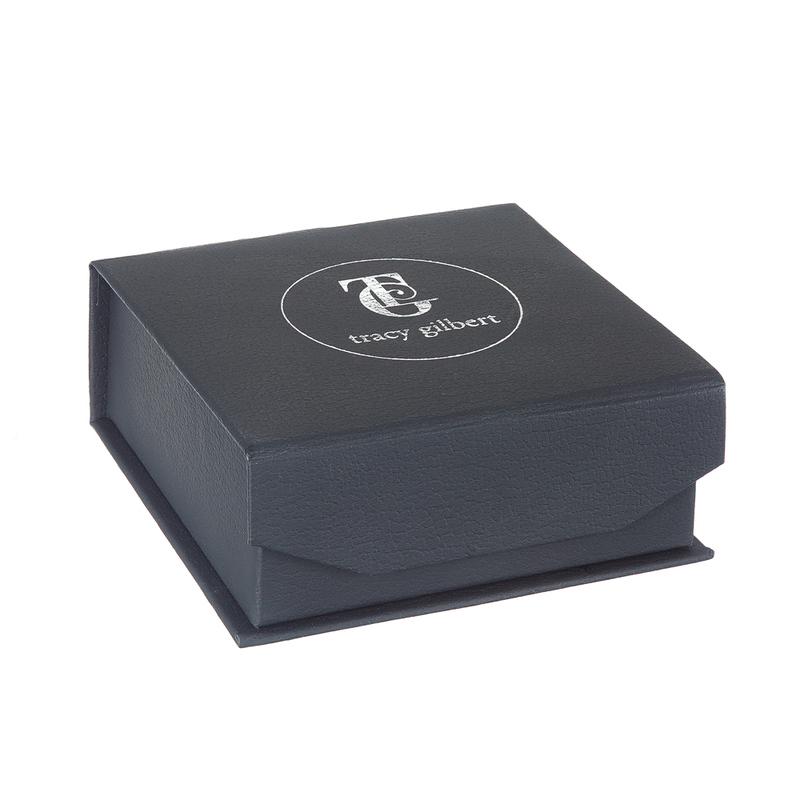 Each piece is crafted in sterling silver and is hallmarked in the Assay Office at Dublin Castle.